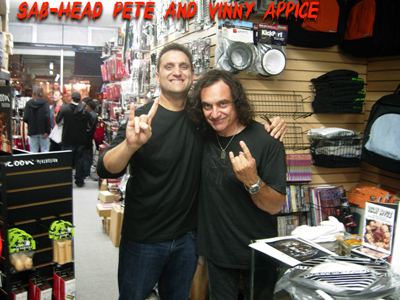 As the Band's leader and founder, SAB-HEAD PETE is influenced mainly by Bill Ward, Louie Bellson, Buddy Rich, Cozy Powell, John Bonham, Nicko McBrain and Vinny Appice. He possesses all the best qualities of his legendary influences and is best known for his hard work ethic, amazing note for note drumming and gigantic passion for Black Sabbath. Pete became a drummer and began playing Black Sabbath,Van Halen, Rush, Kiss, Iron Maiden, Led Zeppelin covers with friends in High School. Well versed in different styles of music, Pete was a music minor at SF State University specializing in Performance. At a very young age, he also incorporated a lot double bass technique and studied the art of double bass for different styles in music. 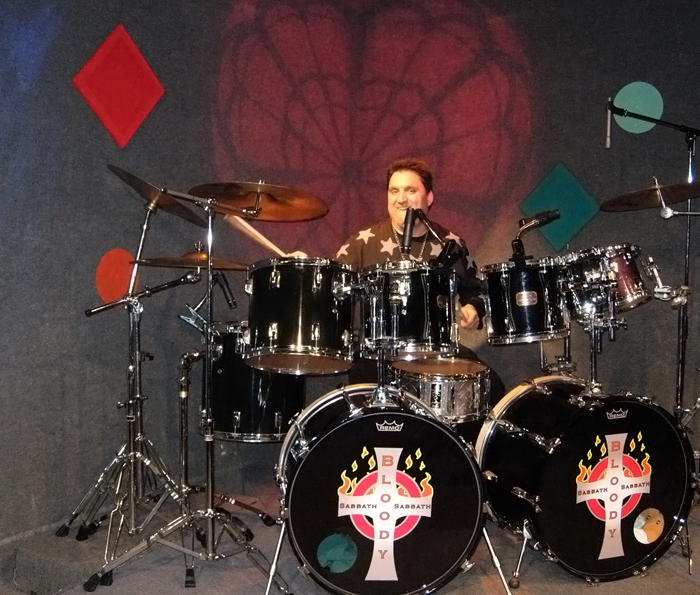 As a teenager, he went to drum clinics, studied and learned from legendary drummers in person; Drummers such as Dave Weckl, Clive Burr, Nikko McBrain, Gregg Bissonette, Joe Morello, Deen Castronovo and Sonny Emory. Being the star and main drummer in the San Francisco State University Big Band,Pete played fairs, outdoor jazz festivals. He also gained experience in successfully performing Jazz, Big Band, Funk, Reggae and Latin Jazz with a jazz combo band he created from his SF State Jazz improvisational class. With the SF State Big band and jazz combo band he performed great legendary Jazz standards, which featured the drums as a leading role; Tunes such as Take Five by Dave Brubeck, Skin Deep by Duke Ellington and Sing, Sing, Sing by Benny Goodman. He thus became a drummer known for his personality as well as outstanding meter, passion and showmanship. 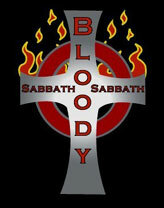 Forming Sabbath Bloody Sabbath in 1997, he tasted success as a headliner in major clubs throughout the Bay Area. Pete today writes original Top 40 and Classic Hard Rock songs and gigs with Sabbath Bloody Sabbath. He plans to get a major record deal with his originals eventually. He currently works full time as a School Teacher and Private Drum Instructor. Pete currently is also the Lead Singer and Drummer/Percussionist of Jazzmatazz- The Finest in Classic Jazz, www.jazzmatazzband.com , works as a Jazz session, concert, studio musician and has elevated SBS to one of the best tribute bands in the entire world. SAB-HEAD PETE has a rare presence and showmanship, which is more than the price of admission. Watching a SBS show, you can't help see and hear the character and presence of his rhythmic, amazing drumming.